The above example requires you to define a specific file, which may become a bit of a burden, Matt does the following in Gulp to search and transpile files ending with .es6.js. There are few options when linting your code for possible issues and style compliance. JSHint will highlight any possible issues in your code as well as call out any patterns generally regarded as bad practice. JSCS will look at the style of your code, this includes things like ensuring just tabs or spaces are used and spaces are put in consistent places. ESLint is fully customizable and provides custom linting rules where you're in the driver's seat of whether options can be switched off or toned down via its configuration files. In addition, if you're using React, ESLint also works with JSX. Setting up ESLint in your build process isn't too hard either. Dan Abramov has a great write-up on setting up ESLint and babel-eslint in Lint Like It's 2015. 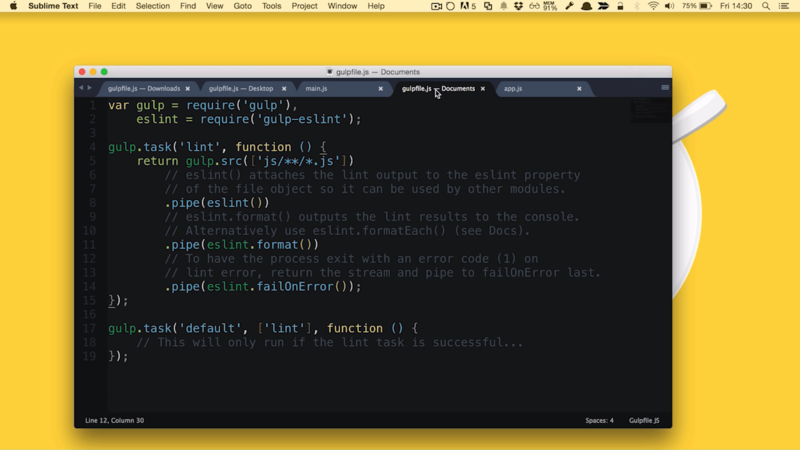 It also covers how to integrate SublimeLinter-eslint into your workflow for ES2015 linting support in Sublime Text. Which should you use? Try them out and stick with what works best for you. You'll of course want your ES2015 code to be correctly syntax highlighted. 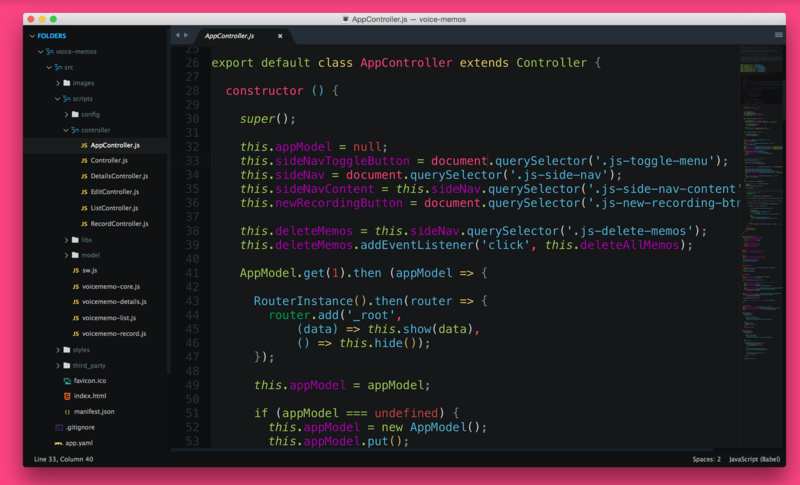 We enjoy using babel-sublime, which can be installed from Package Control. When setting up, we recommend making sure to set it as the default for any files you need highlighting to work against. This will of course include JS but may also cover JSX if using React. If you happen to be using Gulp for your build process, Gulpfiles can now be authored using any syntax supported by Babel. We do this over in Web Starter Kit and it's relatively trivial to setup. 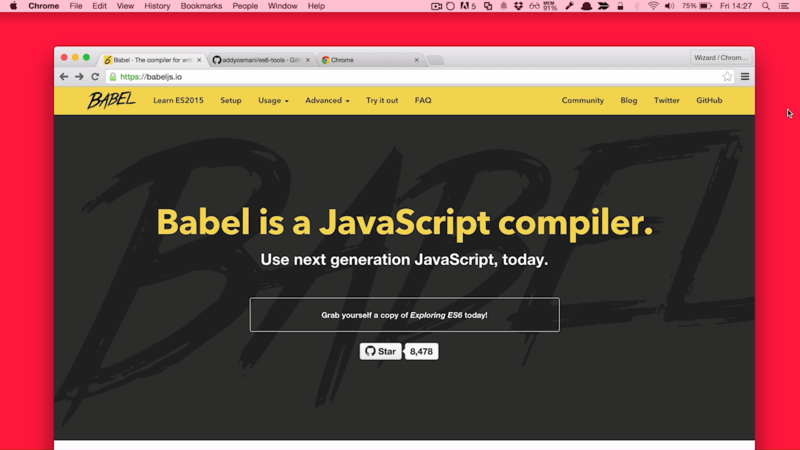 Using a recent version of Gulp and the Gulp CLI, simply rename your gulpfile.js to gulpfile.babel.js and Gulp will interpret and transpile your ES2015 gulpfile using Babel automatically. Modules are a way of exporting values, functions and classes from one file such that you can import them into another file. This site has some great examples and explanations of Modules. Template strings allow you to replace a port of a string with a variable. //=&gt; foo I am a result. Rarr bar. You can learn more from this handy blog post by Addy. Object literals allow you to avoid having to define the key and value when creating an object, if the variable has the same name as the key you want the object to have. 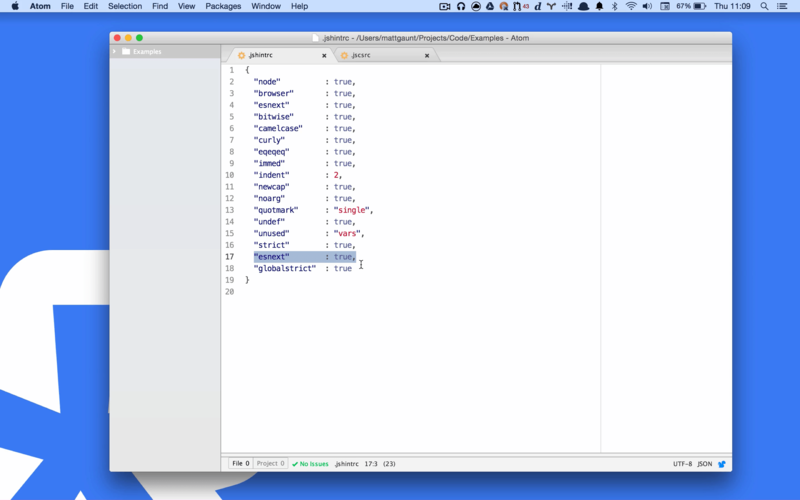 This feature in ES2015 allows you to create property names dynamically on an object. The Mozilla docs is a great source of info and have this great example. Apart from having a shorter syntax, one great feature of using fat arrow functions is that the scope of the object is the same the enclosing statement. What this means is that you don't need to call .bind(this) on your function or create a var that = this. There are plenty more examples over on MDN. 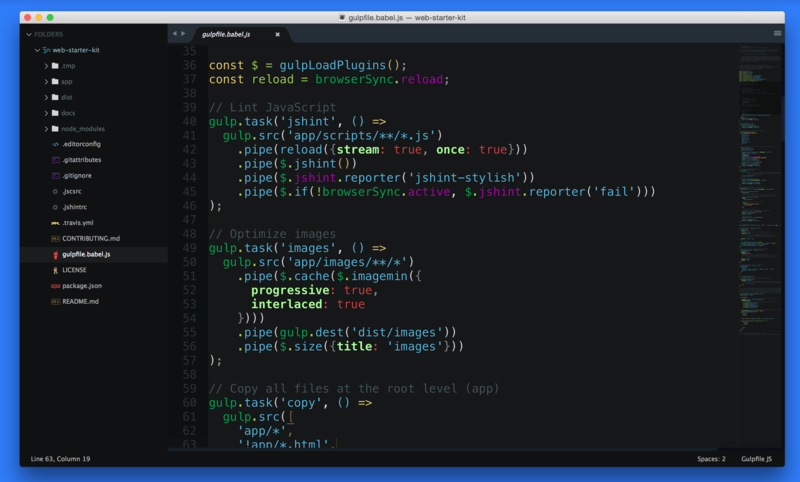 Addy has been busy keeping a list of ES2015 tools and if the tools above aren't right for you, perhaps you are using Grunt instead of Gulp, then this may have an answer for you. 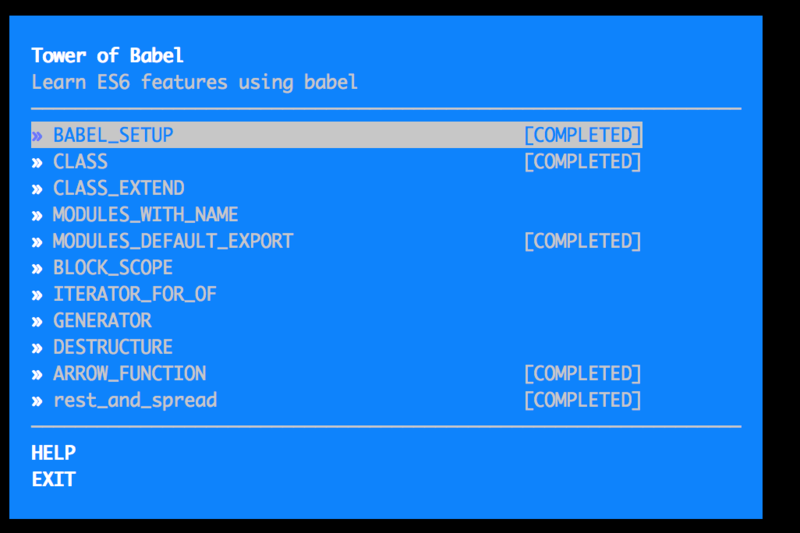 The above also includes links to additional Babel tooling that can help during unit testing and beyond. 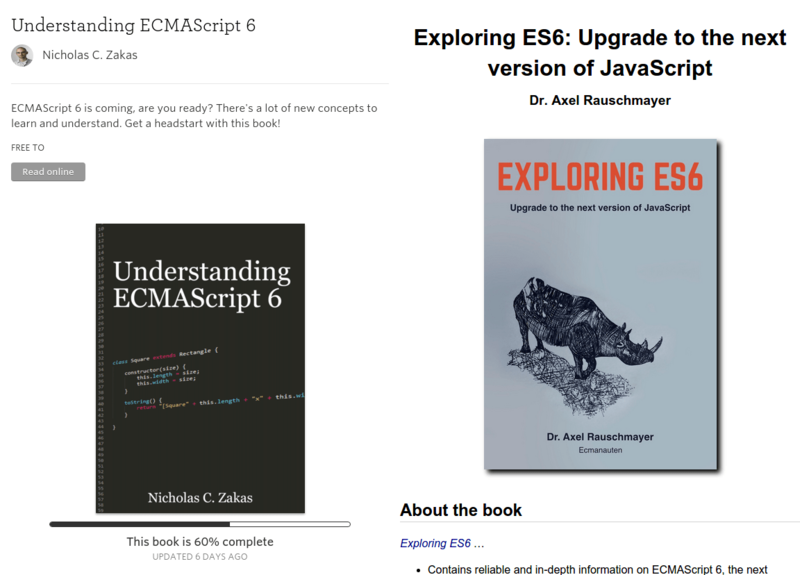 There are two books you can check out for free online to learn more about ES2015. 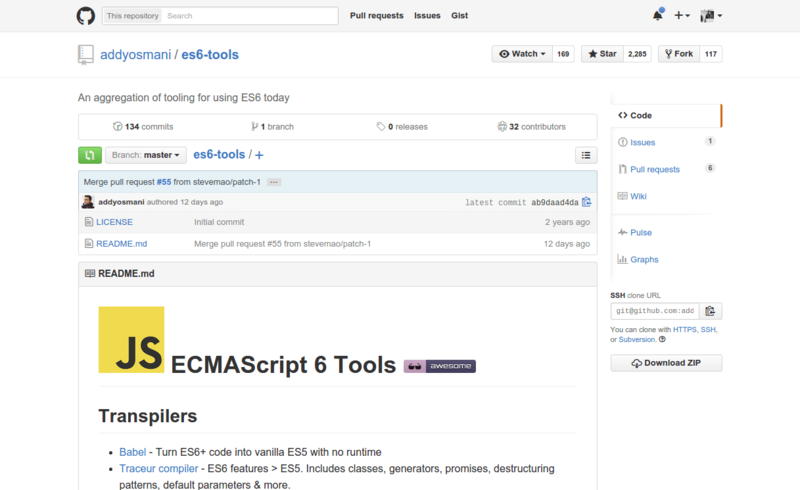 Understanding ECMAScript 6 written by Nicholas C. Zakas and Exploring ES6 written by Dr. Axel Rauschmayer. If you're interested in learning ES2015 features in your command-line, tower-of-babel offers a series of exercises that might be of interest. All of them walk through using Babel.